Summer’s blistering heat is fast approaching. Extreme heat usually weakens our appetites but we all have to eat at some point. 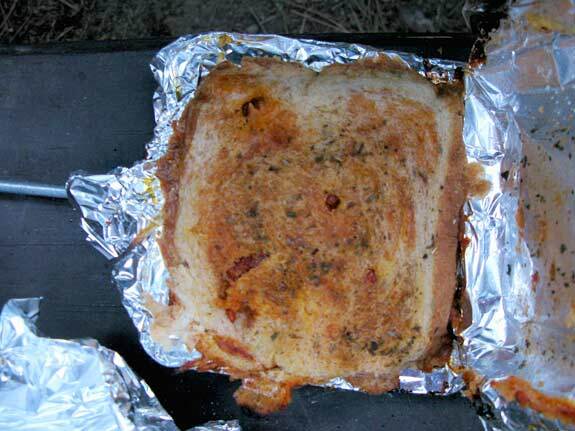 Go easy on yourself in the coming months and try these three easy summer RV cooking shortcuts I’ve learned through the years as a full-time RVer. You’ll feel good, work less, and have more time to play outside. Take it outside and don’t break a sweat cooking. It doesn’t matter whether you’re a full-time RVer or a weekend warrior. When you’re living in a shoe box it’s hard to escape the sweltering heat that bakes our RVs in the searing summer sun. On the hottest days, our air conditioners will only do so much to take the edge off. Don’t even try to test the limits of your A/C by cooking indoors. The best way to avoid sweating it out in the kitchen is to take meals outside. Keeping your meal plan simple, efficient, and outside cuts your prep time in half and makes meals more enjoyable, even as the mercury keeps climbing. Whether you’re cooking for one or more, summer living is easier when you follow these three tips for easy summer RV cooking. Cold noodle salads. Try pre-cooked packaged noodles like udon. Cold pasta salads. Use pre-cooked or boil the previous night, then refrigerate. Crispy leafy green salads with hearty French bread make excellent easy meals. Cold shrimp and bite-sized veggies will cool you off. Dip into an array of condiments like Greek yogurt dips, hummus, bean dips and other cold, filling edibles. You can still get fired up for grilling outdoors even if you own the most basic grill (but if you cook after dark you might try using LED barbecue tongs). Choose menu items like pre-made burgers or fish for fast meals with minimal effort. Pie irons aren’t only for hobos. 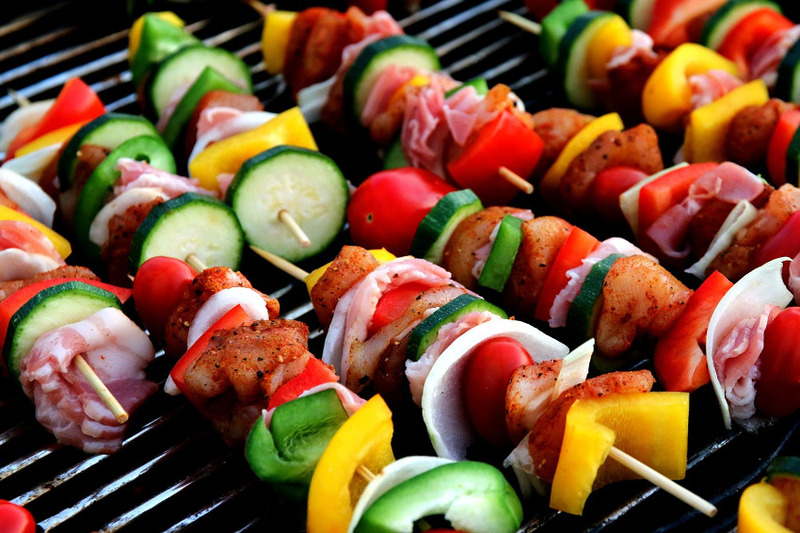 Swipe the entree of choice with a bit of marinade, then toss onto the grill and cook. Nothing can beat the ease of cooking over charcoal, wood, propane or in an outdoor solar oven. Make a Pie Iron meal. Some of the most basic cowboy cooking tools make the best meals, like an old-fashioned pie iron. You don’t have to be a hobo to enjoy them either. Did you know that these portable cast iron or aluminum devices can cook anything from country skillet breakfasts to gourmet French cheese appetizers? It’s true! Keep at least two on board and consult pie iron cookbook experts like Darren Kirby for great tips on easy campfire meals. Summer is the best time to sit back and shrug off those to-do lists around the RV. Instead of sweating over chores like cooking, take advantage of the coming hot season. Make time to relax by the lake and sip cold beverages under the patio awning because summer will be over before you know it!